Last night I stayed up until 4 AM because I’m obviously insane. And I was organizing my boards on Trello. 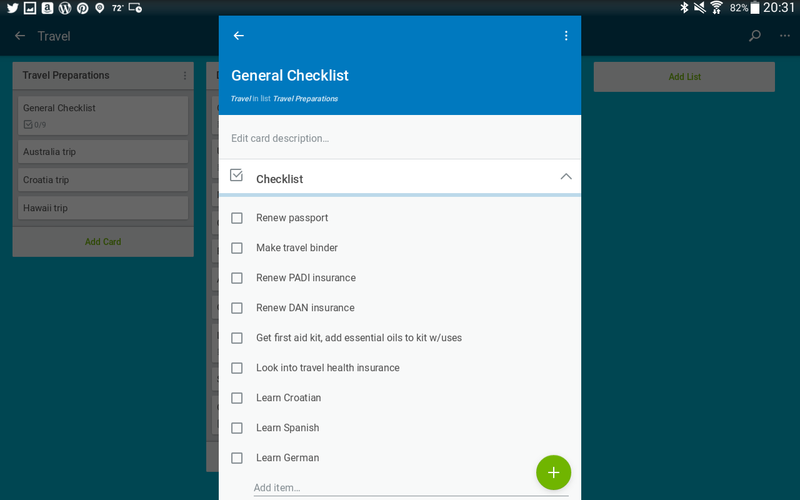 Trello is an app that helps you to stay organized. It’s mostly boards with checklists, something I was in dire need of. So, instead of sleeping like a normal person, I stayed up until 4 AM adding places I want to visit and things I want to see. When 4 AM rolled around I still didn’t want to go to sleep but I was about to crash. When I woke up it was somewhere around 8:30 AM – 9 AM. Mostly because it’s nearly impossible to get any sleep around here. One family member leaves for work at 3 AM, one comes home around 6 AM some days, one leaves for work at 7 AM, and one wakes up by 7 AM and starts making lots of noise in the house. C’est la vie. But I digress. 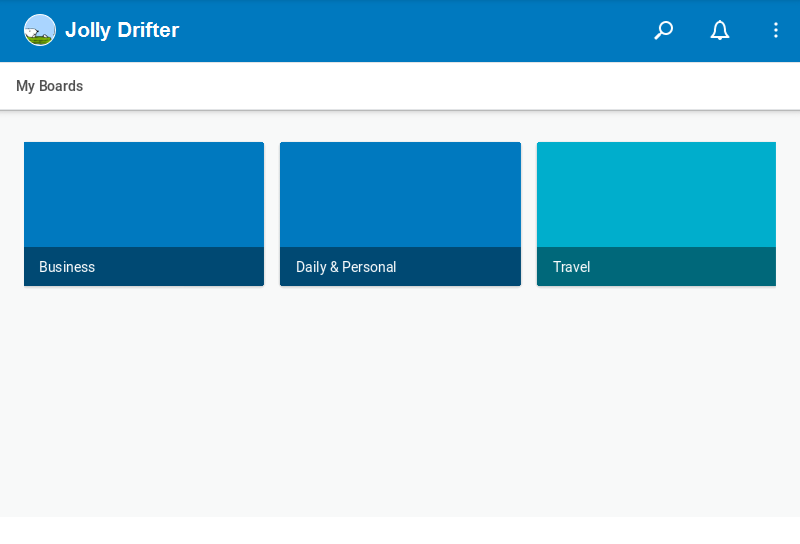 Trello. I still need to add a lot more places to it but I feel like I accomplished a lot and that this app will help me stay on track. The one thing I wish it had is a notecard. It doesn’t have that feature yet so I add any notes into the comments section on a blank card. I saved some screenshots to help demonstrate what I’m talking about. As you can see from the screenshot below, I currently have 3 boards. This is my Travel board. Each white section is a “card” that you can add a checklist to or make comments on. You can also add attachments. Here’s what one checklist looks like. Simple, yet effective. 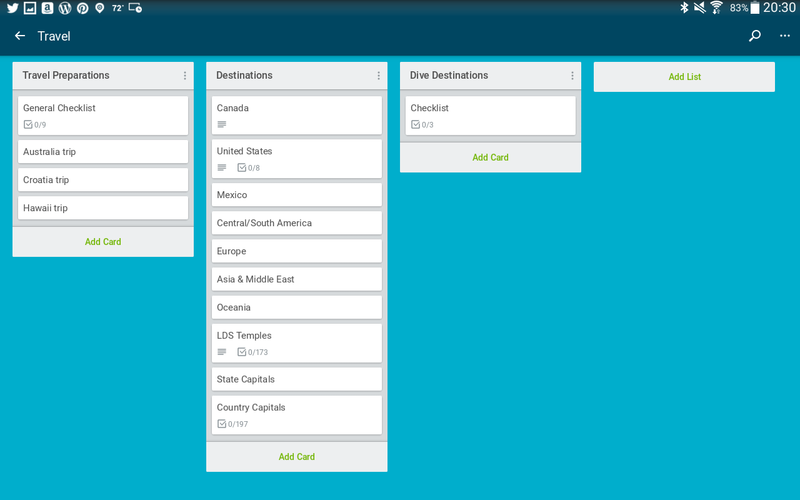 Here’s what a card with multiple checklists looks like when the checklists are minimized. 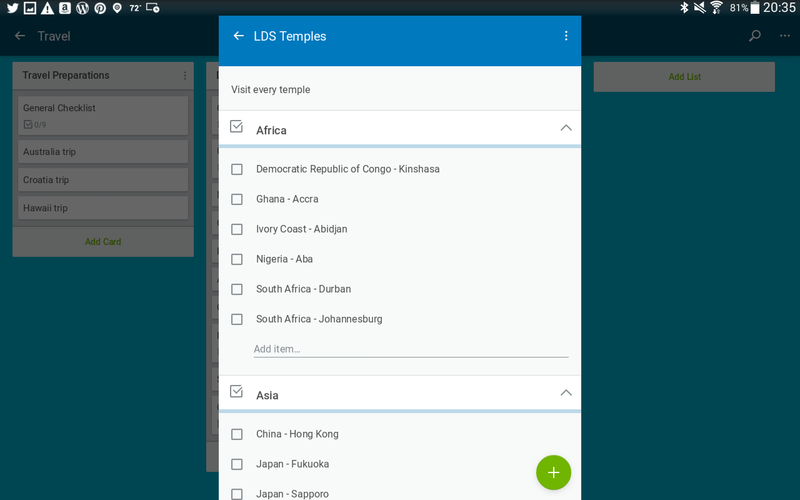 This card is a list of one of the items on my bucket list: Visit every Latter-day Saint (LDS, aka: Mormon) temple in the world. Here’s what having multiple checklists open looks like. So you see, it’s a pretty handy app for someone like me who has a bucket list 10 miles long! 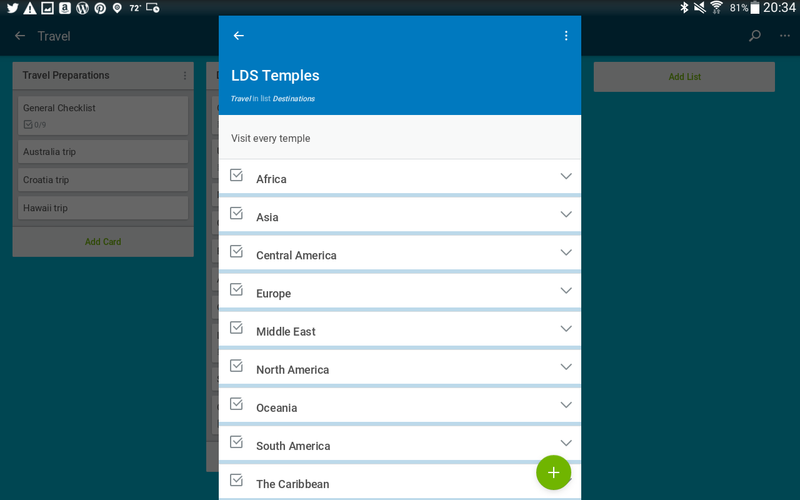 Not only do I want to visit every LDS Temple in the world, I also want to visit every U.S. State’s Capital and every Nation’s Capital in the world. And then there’s my “Dive Destinations” checklist, which I haven’t updated yet. Rest assured, it will also be 10 miles long! Anyway, if you’re insane like me and love checklists, you’ll probably like this app. It’s quite handy! Currently it’s only fully functional on smartphones and tablets. You can open it up on your laptop, but you might only be able to see the lists and check them off. You might not be able to change, update or delete anything. I know I can’t from my laptop. You might have full features if you have a laptop that is a touchscreen. If anyone out there has a touchscreen laptop and has tried this app on it, let me know if it works! For now, I’m going to hit the hay early! Have a happy journey, my fellow travelers. Stay safe. Cool app! I’m gonna go check this out more! Thanks for sharing.